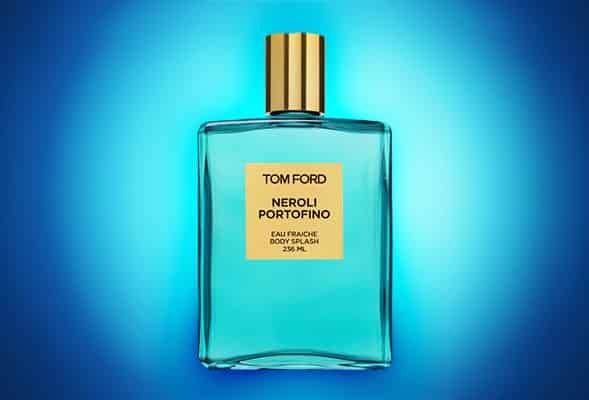 Launched just last month, this is a lighter alternative to the original EDP (which retails at a very Portofino price tag of £170/100ml). A sparkling combo of citrus, floral and amber, it’s gorgeous – and so is the beautiful swimming pool blue bottle, guaranteed to make a statement on anyone’s bathroom shelf. Aqua di Parma’s iconic Blu Mediterraneo range has been a yacht-set favourite since it launched. Amalfi Fig starts off on a fresh green fig note before it dries down to a rich, deep fig. Definitely more Sardinia than Soho, it’s even more sensual layered with Amalfi Fig Shower Cream £28/200ml. Oud is big news at the moment. Light years from the verbena-based scents a lot of us grew up with, Jo Malone softens the sharp bergamot citrus with smooth, sultry oud. It’s very “modern Britain meets the Middle East” and if you like a cologne which is contemporary, original and has staying power, this is it. Rumour has it The Royal Family uses Abahna, a luxury Walpole Brand but despite the exotic name, the brand couldn’t be more British. Launched last year, Mandarin & Sicilian Bergamot quickly became a beauty editor favourite, but it’s White Grapefruit – zesty, uplifting and 100% feel good – that has been winning over male fans lately. Also available in a 10ml travel atomiser (£15), Abahna’s four signature scents are available online and at Liberty London, Heals, Fortnum & Mason and independent stockists UK-wide. I’m a big fan of D&G’s Light Blue and this is the men’s version – and it’s on sale at CheapSmells.com for just £23.95 at the moment. There’s Sicilian orange, grapefruit and juniper but there’s no fruit overdose as it’s balanced by heart notes of rosemary, Szechuan pepper and rosewood. Base notes of musk wood, incense and oak moss round it off beautifully, in true Italian style. This article first appeared on MANFACE written by Thom Watson. It was published on Sunday 10th June 2012 and was last updated on Monday 3rd April 2017 at 4:19pm. It's categorised under Abahna, Acqua Di Parma, Dolce & Gabanna, Fragrance, Jo Malone London, TOM FORD where you'll find more related content.